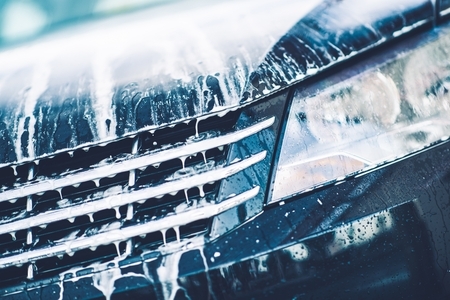 A great spring cleaning package for your car or as a gift for someone else with a filthy car! Inside and out, we make it look and smell like new again. The Deluxe Detail package is offered to the general public at $195, and at $125 for those who mention the online only special price. The Interior and Exterior detail packages are priced at $200 if booked separately, making this online special is a steal of a deal! This 2006 Toyota RAV4 was detailed to perfection, and headlights restored! The owners couldn’t believe how beautifully this car cleaned up, especially the interior upholstery which was dirty and stained. With the headlights crystal clear again, it almost looks like a brand new car.